Наших мопсиков зовут Winston Pibaro и Chateau De Carlin Bouffon Bel Amy, а дома Винс и Буба :). Винс - старший, он из чешского питомника, а младшенького Бубусю мы привезли из Москвы. Оба наших мальчика совершенно разные по характеру, но одинаково любимы нами! 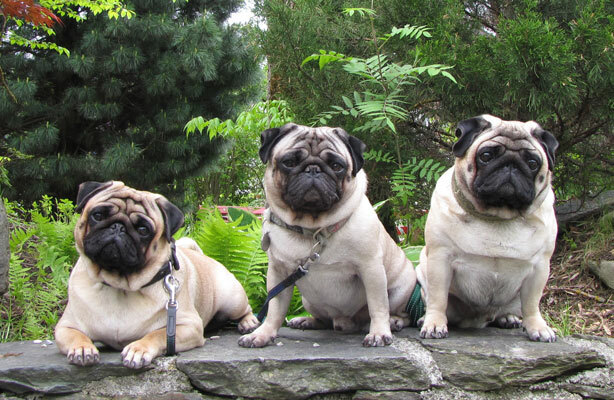 Welcome to the home page dedicated to our beloved pug boys! My first pug is Winston Pibaro, he is from Czech Kennel, he came to our home in the end of year 2007. The second boy came to us in may 2009, his name is Chateau De Carlin Bouffon Bel Amy and he is from Russian Kennel, from Moscow. Both of our boys totally different in nature, but equally loved by us! We hope you will enjoy visiting our homepage!